Better performing, better looking, and even more fun to ride; everything about the new Street Twin is designed to deliver maximum enjoyment. 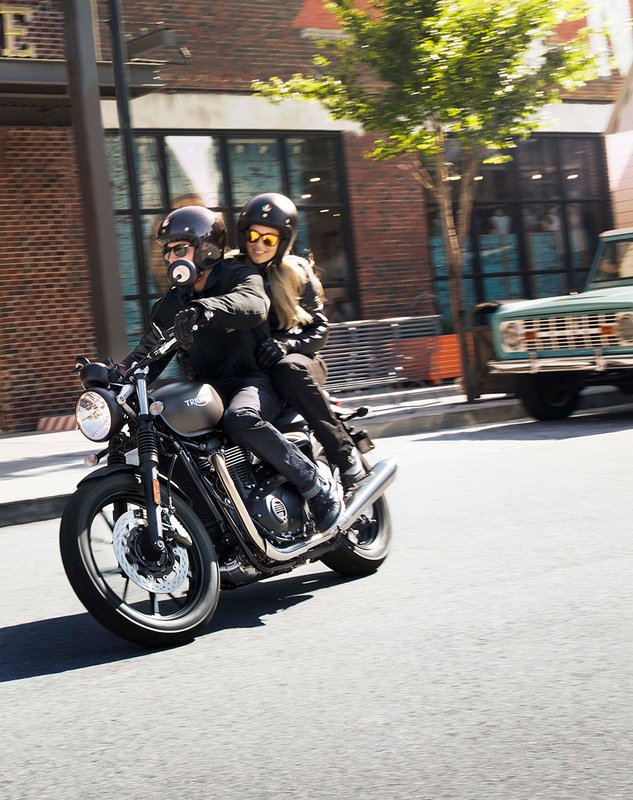 Representing a major step forward for Triumph's most successful custom classic, this new generation brings more torque-rich Bonneville power, higher specification equipment for more control & comfort, new first-in-class technology, and more premium style. In addition, there's maximum customising capability for riders looking to add to the authentic character of a modern classic that's world renowned for its accessible all-round performance, usability, riding feel and timeless iconic style. 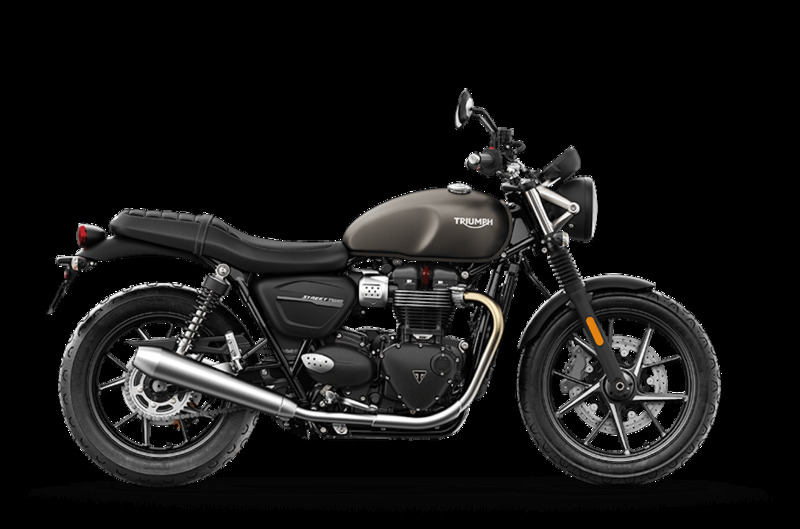 Powered by the celebrated 900cc Bonneville 'High Torque' engine, Triumph's best loved custom classic now delivers 18% more power, performance, and rider-focused technology for superior handling and feel. 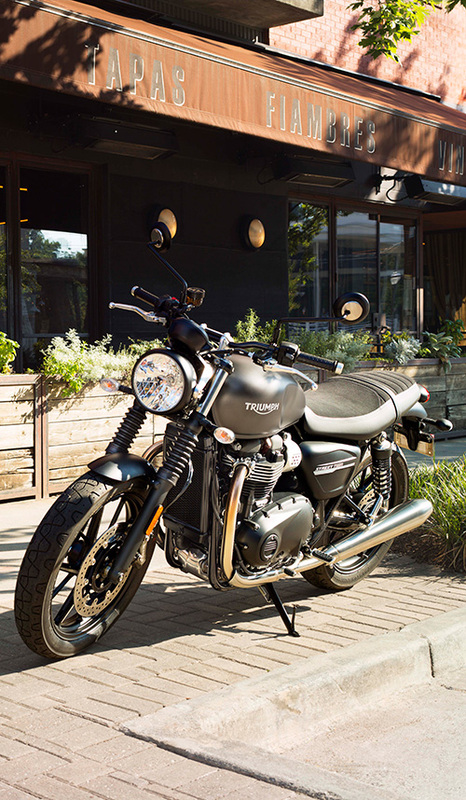 With its unique character, distinctive sound, stripped-back styling and dynamic riding experience, the new 2019 Street Twin is the perfect Bonneville for today's rider. Get excellent stopping power, with better bite and greater rider control with the Street Twin's new 4-piston Brembo front brake caliper. New to the Street Twin, and first in class, Road and Rain riding modes adjust the throttle map and traction control settings for more riding control, via a dedicated mode selection button incorporated into the bike's left hand switchcube. It's easier to enjoy your Street Twin ride for longer with a slip-assist clutch that's optimised to reduce the rider's clutch lever effort, especially during stop/start urban rides. The resulting reduction in clutch packaging also facilitates a narrower engine. For greater rider convenience, Triumph's electric Tyre Pressure Monitoring System (TPMS) is now available as one of the new Street Twin's 140+ accessories. 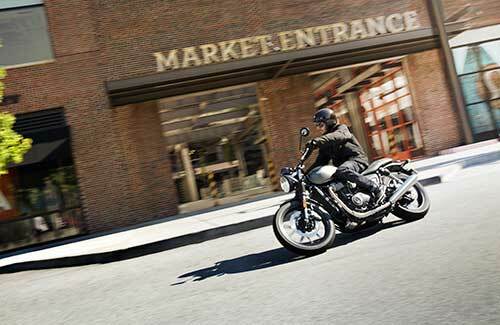 Latest generation ABS and switchable traction control manages the Street Twin's thrilling torque when it's required. Compact, responsive, and incorporated with minimal visual impact, these contemporary safety standards can maximise rider safety. The Street Twin's easy-going accessibility, authentic character, and urban style have ensured its reputation, and this newest modern classic now enjoys a significant 900cc Bonneville engine upgrade for a power increase of 18% over the previous generation. In addition you now also get an even higher specification with Brembo front brakes and cartridge forks, first-in-class technology including two riding modes, and accessory fit TPMS capability, improved rider ergonomics, plus an abundance of extra contemporary custom styling.